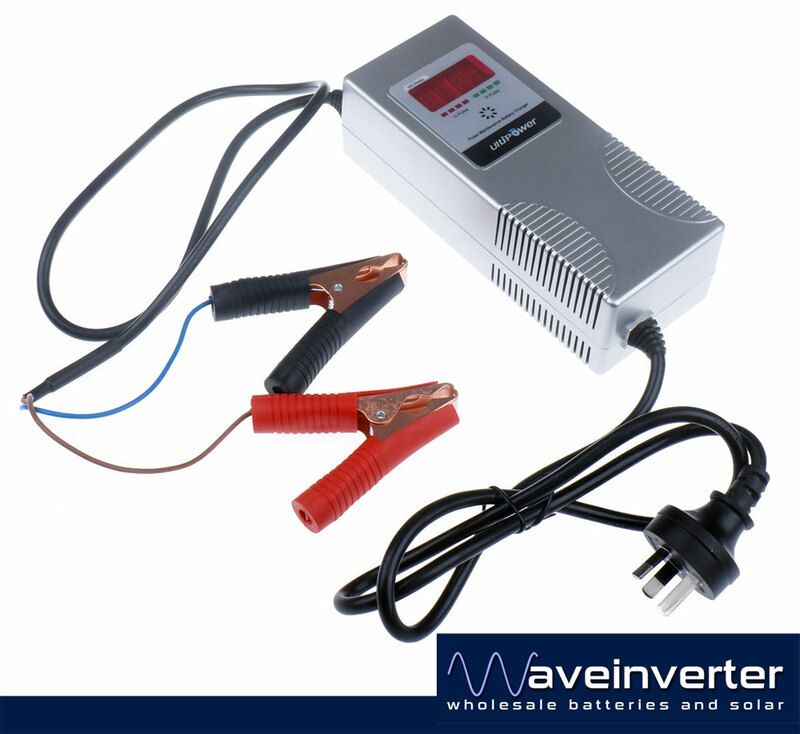 This is the CPU controlled Reverse Pulse Technology Battery charger from Ultipower. Reverse pulse charging technology (patented) desulphanates and revives deeply discharged batteries. It recovers over discharged batteries and tell you if a battery is recoverable or not. You can see this on the display, on start-up it will go into TEST mode and apply a high charging voltage to the battery, stop and measure the rate of voltage drop. If the rate of drop is excessive it will inform you that the battery is unable to be successfully recovered and will stop charging. Perfect Charger for Golf Trundler batteries. Suitable for 24v batteries between 25AH and 85AH. It can charge conventional Flooded Lead Acid, Calcium, VRLA & GEL batteries. You can see this on the display in some of the charging stages it will charger for a few seconds and then for a few milliseconds pulse the current in the opposite direction. 2 Restore the sulfate into liquid to recover battery capacity. 3 Maintain battery, extend battery service life. This will helps you to cut considerable costs on battery maintenance. Once you use an Ultipower reverse pulse battery charger you will not use another type ever again.